The shapiro effect, used to elusively prove relativity, actually shows that as light goes through the gravitational field of a celestial body, it slows down, since it is denser in that area, increasing the time it takes the light to return in an experiment. It is not a "speed" of light; it is a rate of induction. the ambient density of that volume (such as the atmosphere of a planet, or volume between galaxies having very little density) determines the speed of light; light travels extraordinarily faster between galaxies than it does through galaxies, for example. Dowdye created his [Extinction Shift Principle](http://extinctionshift.com/) on this idea. If you agree with wikipedia or not, it is interesting to check it out. It means that light will always find the shortest Time Path through any given medium. That Fizeau experiment is interesting, but apparently what happened is light moving against the flow of some water traveled slower than light moving with the flow of some water - that doesn't test the speed of light through different densities, it tests the speed of light through different ambient velocities. Probably the reason the results aren't quite as substantial as they originally expected is because light passing through a medium like water phases between wave and particle, and only during the particle phase is it really affected by the velocity of the water - resulting in the affected trajectory being much less than it would be if it was always a particle. 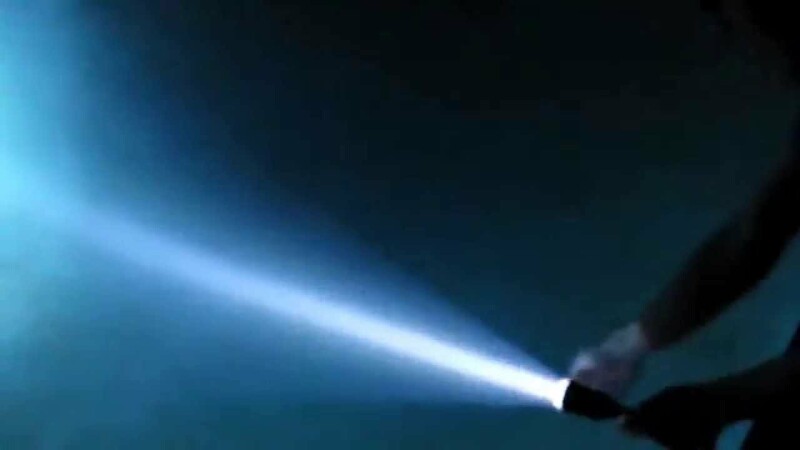 Same concept as shining a flashlight at the hull of the international space station - in outer space, all you would see is basically the light on the hull, with no light beam between the flashlight and hull. This is because there is so little density/objects there (relative to the Earth's atmosphere) that not much light phases into particles (photons) until it reaches high density (hull). Our eyes only detect the photons, not the waves, so we don't see the light between the flashlight and the hull. On the other hand, if you have a really dirty/dusty bathroom and stir things up, with the lights turned off and shine a flashlight in there, you will probably see the light beam as it collides with the dirty/dusty particulates, as well as the target wall in the bathroom. If you were riding your bike, you might just say "quickest route". Time Path was i think Richard Feynman's term, the 'time' factor coming from electric Permittivity/Susceptibility studies. To simplify, narrow the light down to a regular flashlight beam and shine it into a pan of water. The electric matrix of the water molecules will present one path where transmission is quickest. Other possible angles of contact will reflect the beam. What you are saying does not make any sense to me - when light is aimed at/through a bose-einstein-condensate, its ultimate path would be to go through the condensate - there is no alternative quicker path to go the same exact route, it would be quicker to go around the condensate but light doesn't do this, plus, it would not go through where you wanted, so while quicker to get to a destination it cannot be quicker to go the same path, because it is the same path. The shape of the light beam is irrelevant for how fast the light travels, its speed, no matter the angle or what it bounces off of, is determined by the medium it is traveling through (including the gravitational field of the Earth since this picture was somewhere in Earth's gravitational field). What I mean is this: the travel time of light from point A to point B can vary if you put a bunch of mirrors between point A and B to make the light bounce around before getting to point B, and while that increases the time it takes to reach point B, it doesn't necessarily slow the light down, just makes a longer path. The medium light travels through is determining how fast it goes, since mediums vary (even the Earth's gravitational field varies at sea level vs at the top of mount Everest) then speed of light varies. When it comes to the reduction in speed for light travelling through a medium, mainstream science tends to offer two different explanations for this, both being as wrong as each other. One is that a beam of light goes via some convoluted path through the medium while still managing to leave the same direction it entered. The other is that the light gets absorbed by each molecule it encounters on it's way and after a time delay is re-emitted in the same direction. These explanations are a desperate attempt to avoid having to accept that light actually has a reduced velocity in a medium. The speed that light is decelerated to in the medium is the result of the competing EM forces induced by the parallel and transverse vibration. How much slower than c this is will depend on how fast the charges are oscillating and the density of them. then the transmission of light through different mediums will become more comprehensible. Through water, a BEC, a~perfect vacuum (the aether), whatever; the principle is the same. for example, they almost stop the speed of light in a bose-einstein-condensate, you can see the video of this on youtube, the light also decelerates going toward the center of the condensate and accelerates going away from the center. so we know at least that something can affect the speed of light..
transmission of light through different mediums seems simple enough - everything such as the earth, a bose-einstein-condensate, the sun/solar system, the galaxy, atoms, molecules, etc have cores at their center, with a somewhat finite boundary where they become rapidly more dense (such as the surface of the earth, or its atmosphere, or the visible boundary of the sun, or the core of the galaxy) and they have fields which extend far outside this, encompassing other core/field systems like planets, stars, etc in the case of the galaxy. When light moves through any of the fields generated by these core/field bodies, it slows down as it moves toward the core, and accelerates as it moves away from the core. This is the opposite of what happens with atoms/molecules in the form of a comet or rocket, for example, as it moves away from a core. electromagnetic fields induced by oscillating charges? that is like saying a god is blowing hot air onto the light beam to speed it up or slow it down, where in the world does this idea come from? all we know is that light accelerates away from the condensate and that it decelerates toward the condensate once it enters the condensate boundary. adding all this other mumbo jumbo is adding black holes/dark matter/multiple universe type fantasies to the experiment to make previous ideas/theories remain intact. I don't want any of that garbage in my awareness if I can help it. You do know that a BEC is only an artificial state of matter, and only produced in an artificial cavity, like a Magnetic 'trap', right ? The title of this thread is pretty much correct, so don't get mesmerized by the video game called Utube. If the electric induction of light through a medium is is a little too "mysterious" for you at this time, may i suggest starting by explaining something simpler for us, like maybe the Reflection of Light. Later, you might tackle an Eric Dollard ebook, and then get back to me. also lol at the artificial thing - anything artificial is built from natural elements, humans are natural products of nature and everything we build is just a natural derivitive (even if more complex), similar to animals producing a dirt path through a forest, if we build an artificial experiment it still models the current, 'natural' universe, the rules dont change just because a human built it - it just can become more exaggerated/complex.